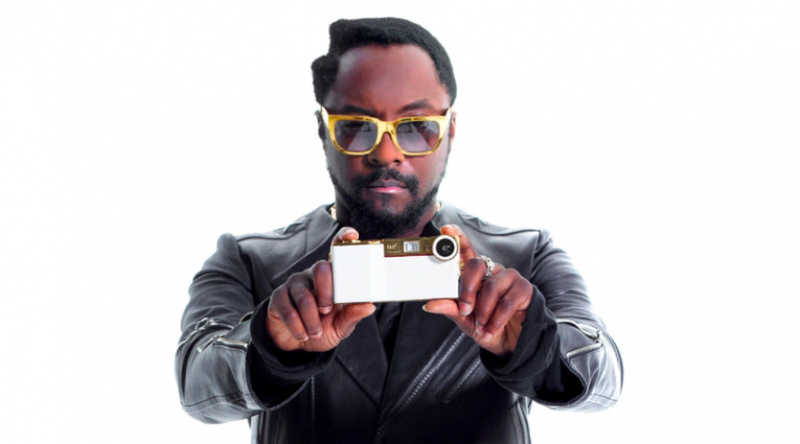 Be Afraid, Will.i.am Wants To Make "The Next Pokémon GO"
"What’s the other Pokémon? It doesn’t exist, right?" Black Eyed Peas frontman will.i.am - real name William James Adams Jr. - has expressed an interest in creating what he feels could be the successor to the wildly popular Pokémon GO. We have a new instalment of this intellectual property that we're going to bring to culture later on in this year. For example, there’s Spotify and then there’s also Deezer, Apple Music and Pandora. There’s Instagram stories, and then there’s Snapchat. For everything there is another thing. But Pokemon Go? What’s the other Pokemon? It doesn’t exist, right? There is no other that. And that s*** made a lot of money. But nobody is trying to go out into the world and do that s*** because to do that you have to have augmented technology. I’m just saying you have to start to identify and see things, trigger things and place things. And it’s amazing that there is no other Pokemon Go. For everything you can imagine, there is another thing. Except for that one. Wow it’s crazy! Will.i.am has his fingers in a lot of pies. As well as music and fashion, he's a big fan of technology and was appointed director of creative innovation at Intel back in 2011. His smartphone accessory company i.am+ has been expanding in recent years, snapping up other firms to increase its line of products, which include the smartwatch 'dial' and Bluetooth headphones BUTTONS. He's clearly someone with their finger on the pulse, but could he possibly challenge Pokémon GO in the smartphone arena? Let us know with a comment. This is just another way of saying: "please give me more money". It’s sad when somebody is aspiring to gain wealth out of making an uninspired rip off. All the examples he cited of mimicry aren’t original and they are fairly shameless clones of the original. The only reason I know who this is is because I watched the movie Rio as a kid. Oh dear , celebrities. . . . 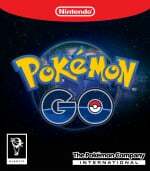 The next Pokèmon GO was already announced a while ago(Harry Potter:wizard unite,still developed by Niantic),I doubt its going to be as much popular as the original. "And it’s amazing that there is no other Pokemon Go"
But there is - it's called Ingress; it's Niantic's first proper augmented reality game after Field Trip. Whatever keeps him busy so he can't make more "music" is fine with me. Ghostbusters is going to be the next Pokemon GO. Search for the ghosts of deceased musicians such as Tupac, B.I.G., Morrison, Lennon, Cobain, Scott and Elvis to get their autographs. This sounds like something Kanye West would do, surprised it was spewed out, er, said by Will.I.Am! This flop of an app is going to be hilarious. Only such a giant brand as Pokémon could Carry this idea. He knows tellingly little about technology, lol. Actually, there's a kind of Pokémon GO clone that's been going around these days. It's called Maguss, by the name you can tell it's Harry Potter-ish. It's still on beta and has a lot of issues, but yeah, it exists. And of course it's not like Ingress was not a thing before. ohhh boy. can't wait to see what this is gonna be about. @thesilverbrick Or he's making a fair point that many popular apps and services have real competitors. The music streaming apps are perfect examples. As is the Snapchat/Instagram Stories. As some have pointed out, there have been and are/will be other apps that are doing what Pokemon Go is. So he's misinformed in that respect. As for his music, I don't like all of it. But there is a place for it and others like it. "I Gotta Feeling" is a fun pop song. The perfect hype song before going out clubbing or going to a party. Pokemon Go is big because of the Pokémon brand, anime and games. It’s not easy to have something equal to Pokémon to base your virtual reality game on. Virtual reality game? Sure! Virtual reality game with Donald and Mickey? No. Jumper? Sure! Jumper with Donald and Mickey? No. Please just stick to your music. It’s not that bad. @Phle In what universe is Mickey and Donald bad to be connected with? When you operate in a creative space, and you’re successful even though you lack talent and originality, it’s important to take your lack of talent and originality into other creative spaces to make more money and prove, once and for all, just how unoriginal and untalented you can be. What if the other Pokemn is the Pokemon for traditional consoles, like Gameboy and GBA? Then you have the fighting games, Pokemon mystery dungeon, Pokemon Snap... we are full of other Pokemons! Well more of #thatPower to him, but unfortunately there are quite a number of Pokemon Go Clones on the market right now that been around for months. Off the top of my head Garfield Go, Draconius Go, Jurassic World Alive (not sure if it came out yet), and every game made by Pocket Catch Games (cat, girlfriend, pony, etc.) to name a few. @UmbreonsPapa Maybe you still like them, but they have lost a lot of credibility the past 20 years. They used to be adored by everyone, that just isn’t the case anymore. Painfully poor games, stupid ideas and low general appearance the last 15 years got them where they are now. The guy has a reverse Midas touch, what he did to Misirlou should be punishable by death. @Phle Maybe in some mediums they're less popular than others and I think its more out of sight out of mind for a certain segment of the consumers. But I would hardly suggest they've lost credibility. I think in general, they continue to be some of the most recognized characters of all time. They continue to have a huge presence throughout their parks. You go to a Disney park and the lines to see them are just as long any other more current character. They both star in two pretty popular cartoons on Disney Junior. Mickey has an excellent series of shorts on the Disney Channel that has millions of viewers and subscribers on Youtube. My only issue with Disney is that they take Mickey (and Donald) for granted overall. With the 56 full length animated features, only one or two star their Big 6. That stupid guy thinking he can do that or NintendoLife thinking this deserves a news article (=attention). yup! Sounds Egyptian especiaIIy with the down stroke chords that he ends some phrases with. The double harmonic scaIe he uses is aIso used in cuItures Iike Egypt. @TossedLlama: Well, now I know something new. Thanks! I appreciate it. @SimonMKWii Nah, Kanye has more sense than that. Actually Maguss is a pretty cool game. After getting bored with Pokemon Go and Draconius Go, and being a big Harry Potter fan, I really like Maguss. They have done a great job of making it a free 2 play game and you dont have to compete with the pay to win crowd. There is also an awesome facebook group you can join if you search for maguss or magussgame. I would prefer Disney GO! @damo I can't believe you thought this garbage was worth an article. It's not like it was a slow news day what with the Nindies Spotlight. Bleh. Who is William James Adams Jr. and why should us NLife readers even care? This "news" piece doesn't even relate to Pokemon Go. Also the sun is shining outside. Does that mean Pokemon Ultra Sun as an expansion is coming to Pokemon Go? You could write a clickbait newspiece on that. Sometimes the reality is you just do not know what you are doing and justifying success by the inane ability of the current culture to determine talent against a sea of low expectations is just sad. Well, Niantic is bringing us Harry Potter GO so maybe just buy shares in that one? Couldn't be any worse than that one game Kanye made......Certainly, it couldn't be any worse than Miyamoto making a hip-pop album, riiiight?? I'm sorry if this offends anyone, but this guy is utter trash. All of the 'products' he's launched have been god awful , either cheaply built or non functional. Hopefully he just sticks to making 'music'.